Heading up an important work project can be daunting, especially if there’s a team involved. It can be tricky to know where to start and how to break the project down into manageable tasks for each team member, not to mention keeping track of everybody’s progress and ensuring deadlines are met. To take unneeded stress out of company projects, plenty of businesses utilise project management tools to help plot out the workload and keep all team members up to date and motivated throughout the project’s duration. It’s a great way to keep all of your information in one place and ensure everybody involved in the project is hitting deadlines and working to the correct brief. 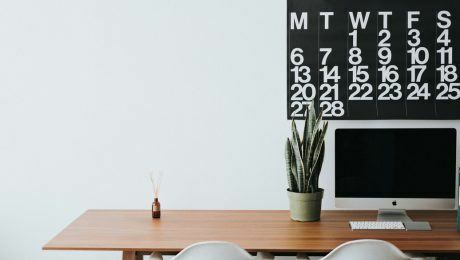 There are lots of options out there, so we’ve scoured the market to choose the top ten project management tools that will help you motivate your team and complete your next project without a single hitch. We’ll be bringing you the first five tools today and following up soon with the second batch, so keep reading to find out which tools made the cut. 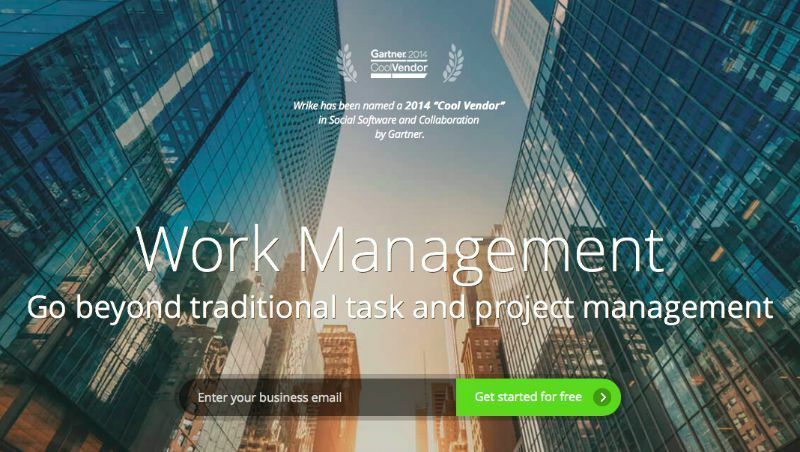 Winner of Gartner’s 2014 ‘Cool Vendor’ award in Social Software and Collaboration, Wrike is a work management tool that strives to go beyond traditional project management. It’s a little pricier than the other options on our list, though if you run a team or five or less you can use the service for free. The price point isn’t huge, but it may be enough to make SMEs look for an alternative. The software is easy to navigate and it only takes a few clicks to set up a new project, which can then be broken down into stages and smaller tasks to be divvied up amongst team members. An integrated news feed allows you to message your teammates and post updates and news, so you’re all kept in the loop about the project’s progress and any changes that need to be made. Plus, Wrike can integrate with other business tools that you might be using, including Gmail, Google Drive, Apple Mail, Outlook, Dropbox, SalesForce and plenty more, so you can have all of your business documentation and tools in one, easily managed place. 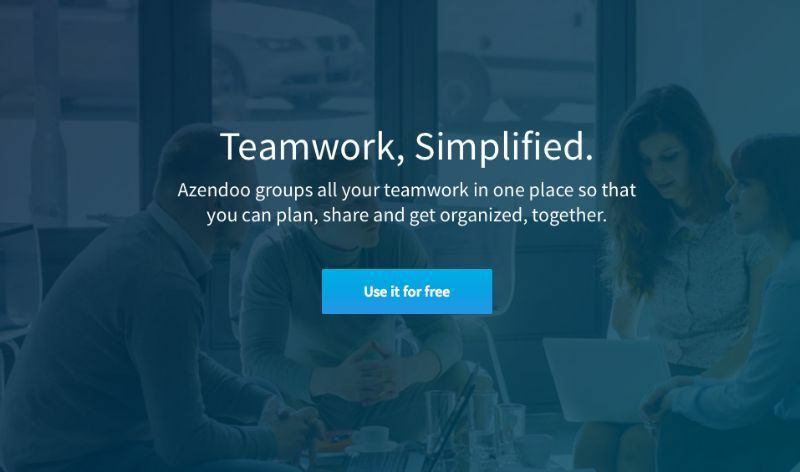 The team behind Azendoo claim that ‘teamwork has never been easier’, and they’ve certainly packed their product full of features that make stressful project management a thing of the past. With Azendoo you can prioritise and organise your tasks and filter information by subject to focus on your work and stop getting distracted by other little jobs that might crop up in the meantime. Azendoo puts a lot of emphasis on teamwork, with Skype functionality integrated into the task-cards, so you can easily video chat with fellow team members if you need to catch up or get some help. Plus, there’s no limit to how many colleagues that can work on the project at any one time, opening up the option of mass collaboration within your business. An online collaboration system that’s perfect for remote workers and freelancers who want to work together on a project, MyCollab has five different pricing structures, making it a diverse piece of software that will suit businesses of every size and budget. There’s even a free option that allows up to three users to work on a single project and try before they buy, which seems like a great, no risk way to try MyCollab. The built in project management tool allows all team members to stay fully up to date with the project’s progress, and includes milestones, tasks and task groups. Users can send group messages to the team to discuss upcoming tasks or changes, and reports are provided to keep everybody involved clued up as to how the project is ticking along. While this isn’t strictly a dedicated project management tool, there are plenty of people online who sing the praises of OneNote when it comes to planning company-wide projects. There are plenty of available templates that transform OneNote into a great project management tool, and Bright Hub Project Management have published a particularly helpful list that’s well worth checking out if you fancy giving OneNote a try. While not the easiest to get to grips with, if you’ve got the time to invest in learning the tips and tricks that made OneNote tick then the rewards can be great. Plus, you can download it for free and it works across pretty much every device and operating system on the market. 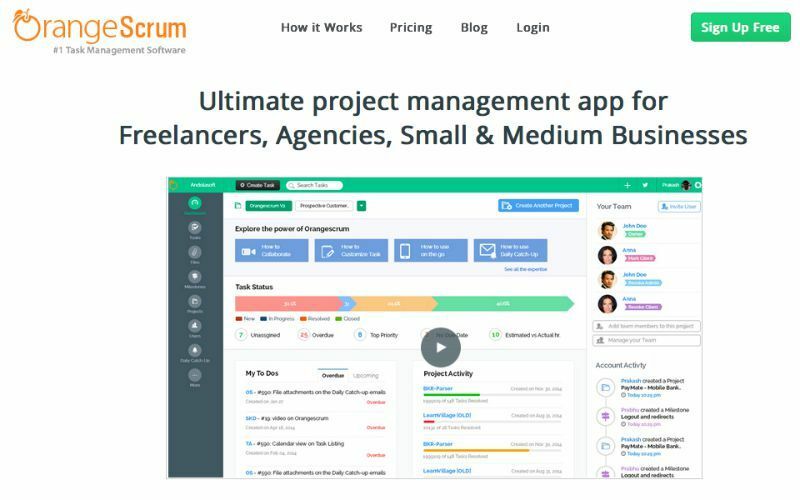 That said, if you’re on a tight deadline and need a pre-packaged piece of project management software then you may want to look elsewhere. 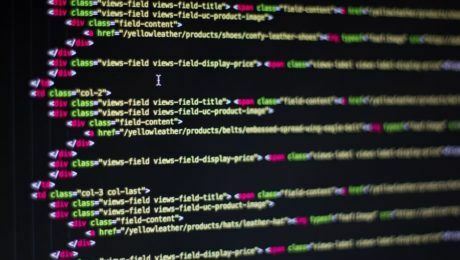 One of the only pieces of OpenSource software on the list, Orangescrum is targeted towards freelancers, agencies and SMEs, so it’s probably not the best option if you’re heading up a large corporate project. That said, there are a lot of positives to using Orangescrum, including the Scrum Board which allows you to track each team member’s progress and keep an eye on which elements are coming up next. 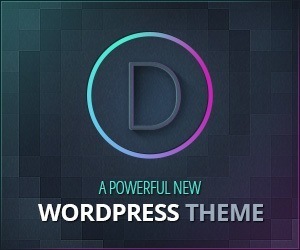 This would be a great piece of kit for a small web development company, or a creative agency that undertakes collaborative projects.